Dr. Zurita has been in private practice in Texas since 1999 in both San Antonio and the McAllen area and has served on the medical faculty of the University of Texas Health Science Center as assistant clinical professor. In addition to general gastroenterology, Dr. Zurita is interested in assisting local bariatric surgeons in the care of their patients and motility disorders of the gastrointestinal tract. He serves as a medical advisor for the local Celiac Sprue support group. 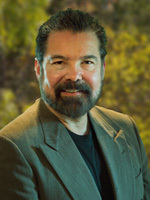 A native of Illinois and a graduate of Loyola University, Dr. Zurita attended medical school at the University of Texas Health Science Center in Houston. He completed the internal medicine residency program and a fellowship in gastroenterology at Scott and White Memorial Hospital. He is certified by the American Boards of Internal Medicine and Gastroenterology. He speaks Spanish fluently.